If there is one thing I have learned in the past 8 weeks is that transitions are hard no matter where you are in life. I worked full-time for a year before I made my move back in to higher education. I was so excited to get back on campus and working with students that I didn’t prepare myself for the challenges I would face during my first two months. First of all, no matter how prepared you think you are, moving away from your loved ones is hard. I always considered myself a very independent person. I solve problems on my own without the help of others and I pride myself on that. When I began my grad school search, I intentionally looked for programs that were far away from my home, Texas, because I was ready for a change. I applied to schools in Florida, Indiana, Colorado, South Carolina, and, begrudgingly, Texas. I knew I wanted to get out of dodge but I figured it would be safe to have one in my home state for a ‘fall back’. After applying, on campus interviews, and anxiously waiting for a phone call I made a decision on which school I would attend. And wouldn’t you know, it was the one in Texas. The school I attend now is three and a half hours from my family and significant other. But I truly believed I was independent enough to make it all work from far away. It would be easy! After working full-time for a year, I was ecstatic to be back on a college campus. I knew that this new position as an Advisor of a student organization would be challenging but I knew I would be good at it! Everyone kept cautioning our cohort for ‘the wall’ we would hit in October but I was sure that didn’t apply to me. I had worked full-time! I was totally ready for a 20 hour a week job with students. Going back to school was never a concern of mine. I was prepared to study and work hard at everything. I saw coming back to school as a new start. I was grateful to be given the chance to study and learn again. Individually these all seem like manageable things. However, when you put them all together it becomes difficult. Transitioning is never an easy process no matter how prepared you are. Being in a new environment, being away from your support system, having new responsibilities. It amplifies every small problem by 100%. However I want to remind you, this too shall pass. You will stop feeling like you’re drowning, you will begin to feel confident in your decisions, you will succeed and be awesome at your job. The work we do is not easy. It is hard physically and emotionally and we have to remember to take care of ourselves when we would usually put ourselves on the back burner. 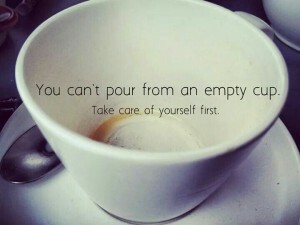 What are some ways you take care of yourself? Share in the comments!